Are you noticing years of sun damage and general wear and tear on your skin’s complexion in the form of dark spots and broken vessels? If so, you are not alone. As our skin matures, dark sun spots, melasma, and age spots begin to accumulate on the skins surface attributing to unhealthy aging. 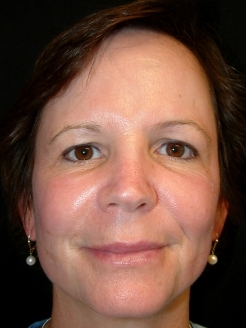 In addition, broken vessels develop on our cheeks and corners of the nose. BroadBand Light therapy (BBL) effectively treats both conditions in as little as thirty minutes and will leave skin with a “porcelain doll” appearance. BBL/IPL Phototherapy is a laser treatment that targets and eliminates benign skin conditions such as sun damage, broken blood vessels, brown patches and blemishes. It is a safe, non-invasive treatment that can be customized at Parva Plastic Surgery, in Leesburg, Virginia to meet your specific needs. 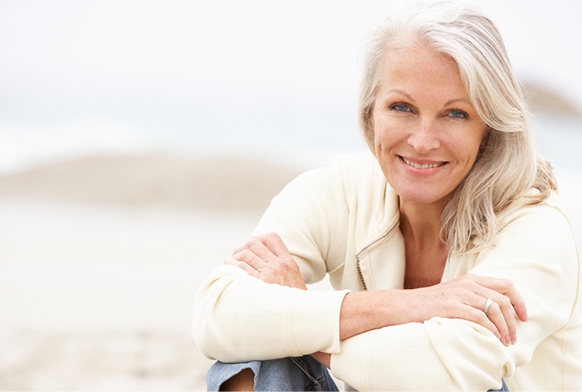 It is important to have a complete evaluation to determine if you are a candidate for BBL/IPL treatment. 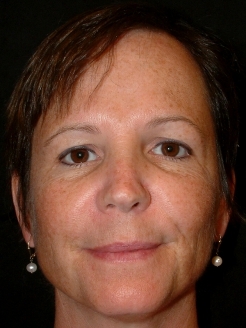 This is a 47 year-old young lady seen 1 month after a Broad Band Light Therapy treatment to remove brown discoloration caused by sun spots and hormonal patches. What does Phototherapy BBL/IPL treat? Who is a good candidate for Phototherapy BBL/ IPL? Who is not a good candidate for Phototherapy BBL/ IPL? What should I expect during a Phototherapy BBL/ IPL treatment? 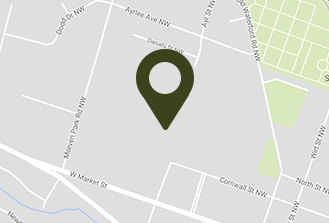 Before your treatment, a test spot may be performed to assure a safe and effective treatment. A topical numbing agent is applied to the treatment area for 30 minutes to provide comfort. As the treatment begins, you will see a bright light and will feel a warm flick in the treated areas, followed by a sunburn sensation. Immediately after your treatment, cool compresses and sunblock are applied to the face for additional comfort. BroadBand Light (BBL) treatments may last from thirty minutes to two hours depending on the amount of areas being treated. BroadBand Light (BBL) therapy is commonly combined with Laser Micropeel and ProFractional Laser Treatments for a more comprehensive skin rejuvenation treatment. What should I expect after a Phototherapy BBL/ IPL treatment? After your BroadBand Light (BBL) treatment, you can expect small spots resembling coffee grounds to appear where sun damage was treated. Red pigmentation may disappear immediately or turn a light purple hue. Brown discoloration will flake off the face within two weeks whereas brown on the body may take up to four weeks. Red discoloration and vessels may take up to four months to completely reabsorb. On average, sunblock and make-up may be applied the following day after your treatment. BroadBand Light (BBL) treatments are typically performed once a year for maintenance, whereas rosacea prone individuals may seek treatment more frequently. Please contact Parva Plastic Surgery for your complimentary phototherapy consultation with Dr. Parva, board certified plastic surgeon today. Rejuvenating how you look with a Phototherapy BBL/IPL laser procedure can help with uneven skin tone and reduce the appearance of sun damage. Ongoing skin care is a vital part of this aesthetic outcome. 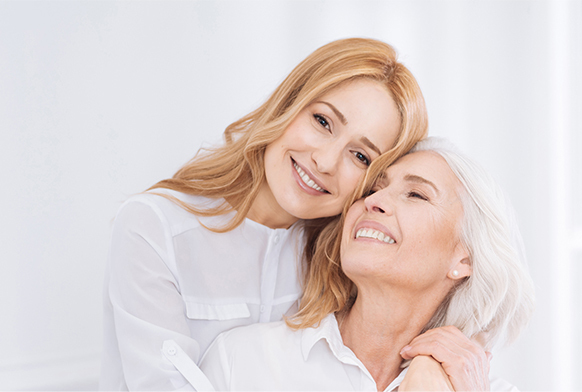 We are happy to customize an appropriate skin care regimen that works with your BBL/IPL treatment to help you achieve the best possible results. Professional skin care products like SkinMedica® have been proven to enhance skin tone and texture while diminishing signs of age.